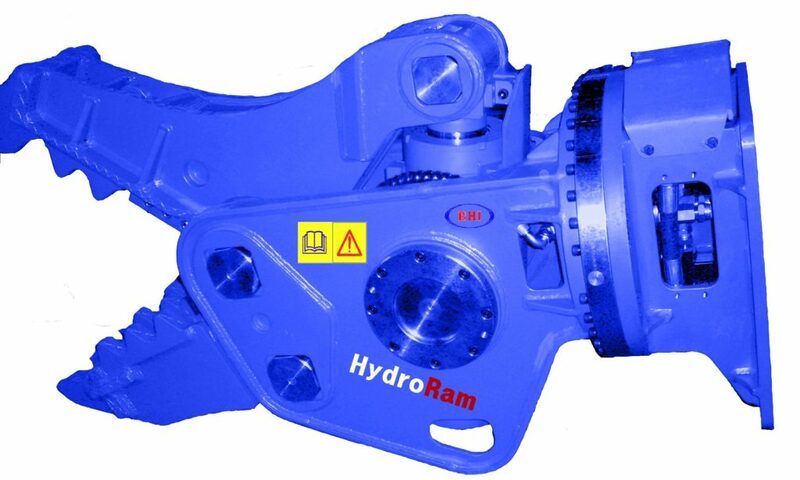 Hydraulic Pulverizers are offered by RJB Hydraulic Hammers and Heavy Excavator Parts. Concrete structures can be easily cut down to size with our premium HydroRam Hydraulic Pulverizers. Wide and powerful jaw openings will process the rubble from bridge columns, retainer walls, buildings and foundations faster, quieter and more efficiently than other conventional methods. These top quality units are available in either a fixed design or a 360 rotation design. Please give us a call for more information regarding our line of hydraulic pulverizers, hydraulic hammers or other excavator attachments.